Raphael Santi or Raphael Sanzio,Ital. 1483-1520, major Italian Renaissance painter, b. Urbino. 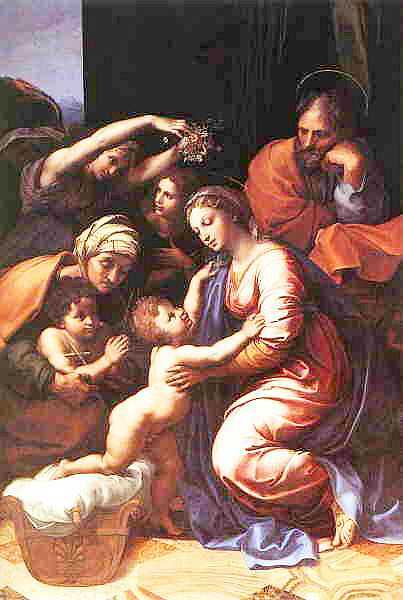 In Raphael's work is the clearest expression of the exquisite harmony and balance of High Renaissance composition.